Ford plans to export the Edge, which features an array of smart technology, to 100 countries in 2019. A union official says Ford's decision to continue building the Edge crossover in Oakville, Ont., after a redesign signals that jobs will be secure in the region as the automaker invests in new technology. 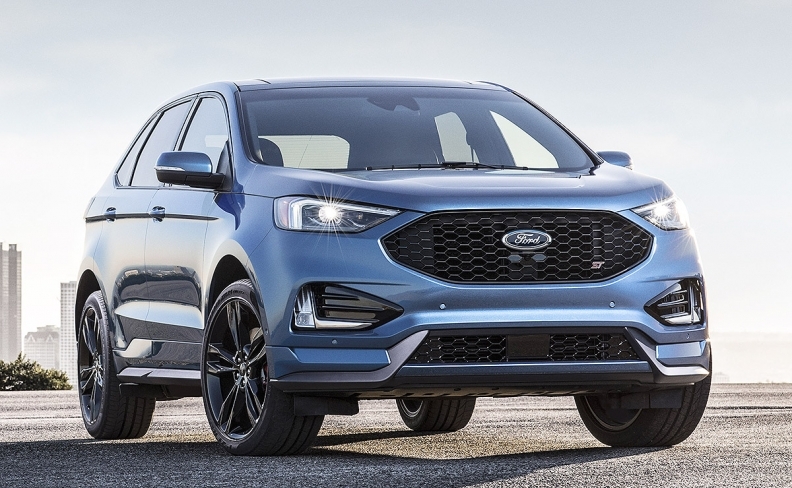 Ford Motor Company of Canada said it has redesigned its Edge SUV for global export, with preparations already underway for production at the plant. Ford plans to export the vehicle, which features an array of smart technology, to 100 countries in 2019. However, company spokeswoman Lauren More said the company has no plans to hire more workers or change its operating pattern at the plant. The move comes a year after Ford pledged $1.2 billion over four years to retool its Canadian plants, and create a research and engineering centre in Ottawa. It was part of a contract deal negotiated in November 2016 between Ford and Unifor that had the automaker invest $700 million for its assembly plants in Windsor, Ont., and Oakville. Unifor president Jerry Dias called the announcement "a good sign," adding that the union is pleased the company is using skilled workers in Canada for the updated model. "There hasn't been any softening of the market as it relates to the Edge and this is just about keeping it at the forefront of people's preferences," Dias said in an interview Jan. 11. Ford said it has sold 1.3 million Edge crossovers since 2006. In the all-important U.S. market, where upwards of 85 per cent of all Canada-made vehicles end up — Ford sold 142,603 Edges in 2017, a sic per cent gain over 2016, according to the Automotive News Data Center in Detroit. Ford says the U.S. midsize crossover segment has grown 50 per cent since the Edge was launched in 2006. The segment grew 0.6 percent in 2017 to 884,829 vehicles. Canadian sales were 19,967 in 2017, down 2.7 per cent over 2016. "Ford is really looking to emphasize and to push their sales offshore, which makes us proud that they are using our Oakville facility as their centrepiece to do that,’’ Dias said. The union represents about 5,000 workers at the facility, which also builds the Ford Flex, Lincoln MKX and Lincoln MKT. Ford first expanded production of the Edge in Canada three years ago, announcing then that the vehicle would be exported for the first time to western Europe. Dias said despite talks of the U.S. pulling out the North American Free Trade Agreement, there isn't concern of the company's commitment to keeping auto jobs in Canada. "NAFTA is definitely falling apart, there is no doubt about that," he said, adding that the problem with NAFTA in the U.S. is low labour wages in Mexico. "Auto jobs are not leaving the United States and coming to Canada, jobs are leaving the U.S. and going to Mexico, and they completely understand that," he said.